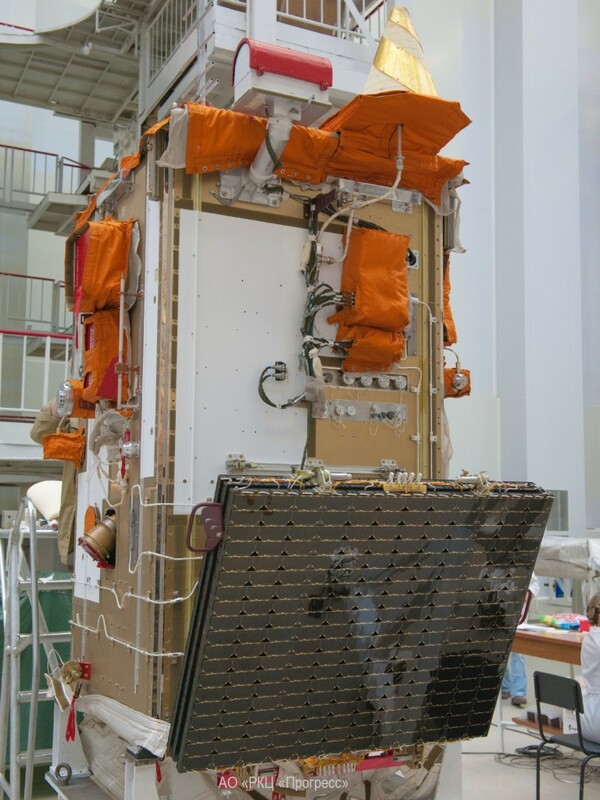 AIST-2D is a technology demonstration and scientific research satellite developed at Samara Aerospace University in cooperation with satellite manufacturer TsSKB-Progress. 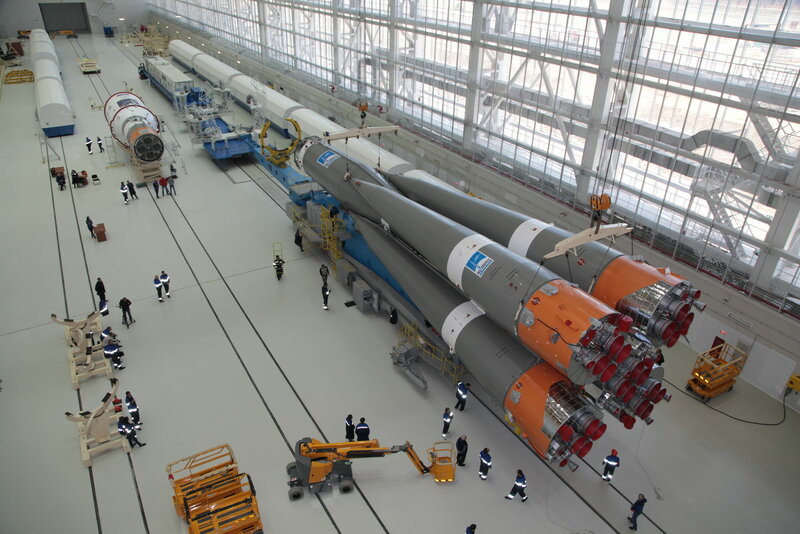 The 531-Kilogram satellite hosts eight payloads dedicated to technology demonstrations and scientific research. 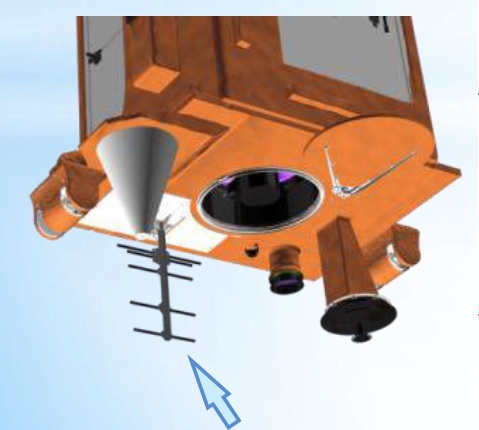 The AIST-2D mission has a number of objectives starting with the development of a small satellite platform to host hyper-spectral and other sensor equipment. Another goal of the mission is developing new methods and technologies for Earth observation in the hyperspectral bands and novel radar frequencies. 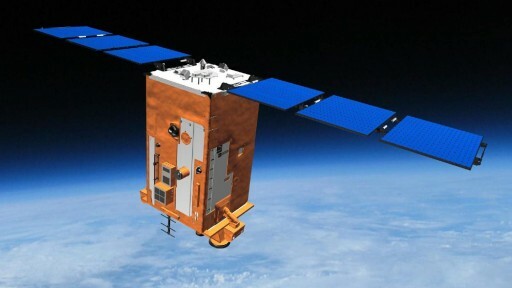 Over the course of a mission of at least three years, AIST-2D will carry out a number of technological demonstrations and deliver data for use by the scientific community. The primary scientific payloads aboard the AIST-2D satellite are the Aurora Hyperspectral Imaging Instrument and a P-Band radar system. In addition, the spacecraft hosts six payloads for scientific research, materials science and technology demonstrations. 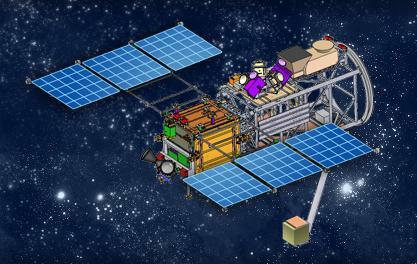 No in-depth information is available on the AIST-2D satellite platform. Two solar arrays generate an average power of 285 Watts feeding an 80 Amp-hour battery that operates at a bus voltage 23.5 to 32 V. The satellite uses a precise attitude determination and control system for high pointing accuracy in Earth imaging operations. The data downlink system reaches data rates of 64 to 175 Mbit/s. AIST-2D will operate from a 490-Kilometer Sun Synchronous Orbit. The Aurora imaging system is installed in the center of the Aist-2D satellite comprised of a large optical unit and a Focal Plane System. The instrument covers the visible and infrared wavelengths and can be operated in panchromatic and multispectral modes to deliver imagery of Earth. Operated in panchromatic mode, the instrument reaches a ground resolution of 1.48 meters while multispectral imagery is available at a 4.5-meter resolution. Infrared imaging with Aurora reaches a ground resolution of 122.5 meters across a 47-Kilometer ground swath. For panchromatic and color imagery, the operational ground swath is 39.6 Kilometers wide. The most innovative instrument installed on the Aist-2D satellite is a Bistatic P-Band Synthetic Aperture Radar capable of observing targets hidden by vegetation and subsurface features as well as collecting data on global geology and vegetation biomass. The P-Band in the electromagnetic spectrum stretches from a frequency of 300 MHz to 1.0 GHz, and – together with a section of the L-Band – can be used to penetrate the surface to varying depths, depending on soil characteristics. The onboard radar complex BiRLK features a multi-mode pulse transmitter capable of delivering a stable signal at a carrier frequency of 435MHz with a bandwidth of 1-30 MHz and a transmit power of 200 Watts. It can generate different pulse types – a rectangular pulse and a sequence of chirps. Coupled with reference signals transmitted from the ground or measurements by other satellites within a constellation, the P-Band radar can be used for ground characteristics measurements and ionospheric data collection. A drawback of the use of P-Band on a single satellite mission is the influence of ionospheric conditions on radar measurements, requiring knowledge on ionospheric parameters over a given location for correction of radar data, either through ground based measurements or with calibrated reference signals. The radar electronics block aboard the Aist-2D satellite weighs 19 Kilograms and is connected to a 0.7-meter long antenna unit. 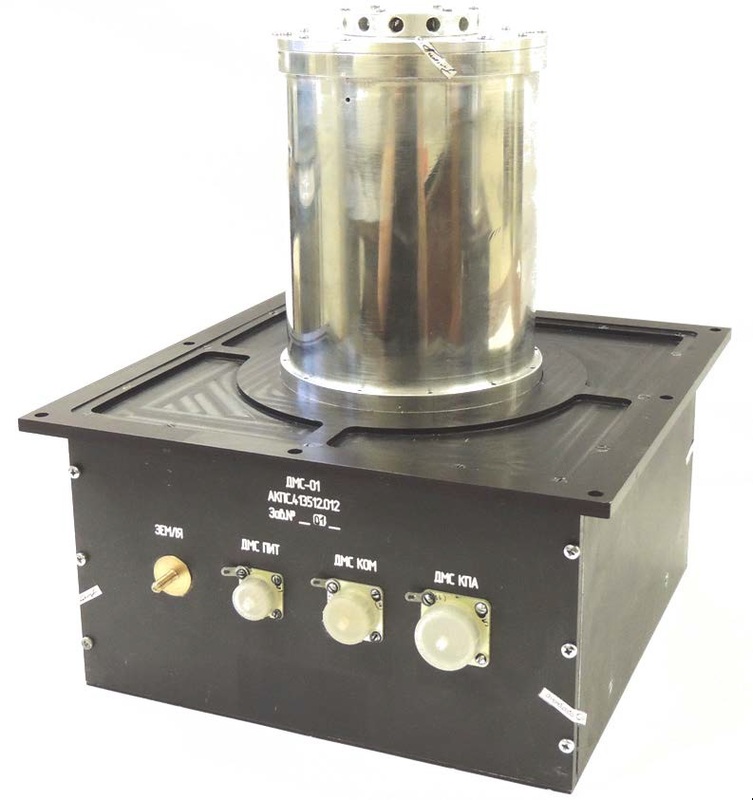 The ground-based receiver for ionospheric correction is a dual-straight receiver with a 2×2 Uda-Yagi antenna, capable of receiving signals on two channels for ionospheric correction over a control area. 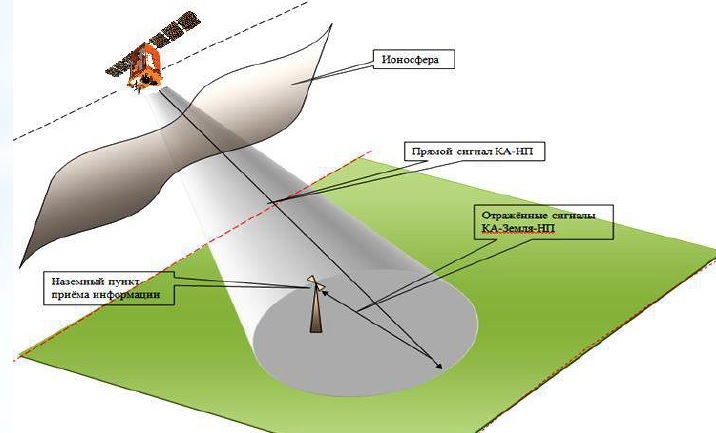 The P-Band radar system will be able to image 10-Kilometer strips with a spatial resolution of 5 to 30 meters and a vertical accuracy of 5 meters. Depending on the moisture content within the soil, the ground penetration achieved by the radar can be a few dozen centimeters to 100 meters in the desert. Primarily, P-Band systems would be used in operational applications to reveal ground characteristics beneath vegetation, assess biomass variation and determine soil moisture content. Applications for P-Band systems are currently in development for use in Earth observation in airborne and space-based missions. Deployment to Mars is also under consideration to be able to reveal rock features hidden under several meters of Martian dust. The DMS-01 instrument facilitates a Mass Spectrometer to be used to analyze the gas environment of the satellite with special focus on outgassing of the different satellite structures. When being launched into the vacuum of space, most components will release gas molecules that were trapped / absorbed within the materials. Typically, lubricants, adhesives, plastics and even metals and glasses are known to release gas when launched into space. Outgassing can be a serious problem because outgassing products can condense onto optical elements, thermal radiators and solar cells and reduce the performance of the respective systems. 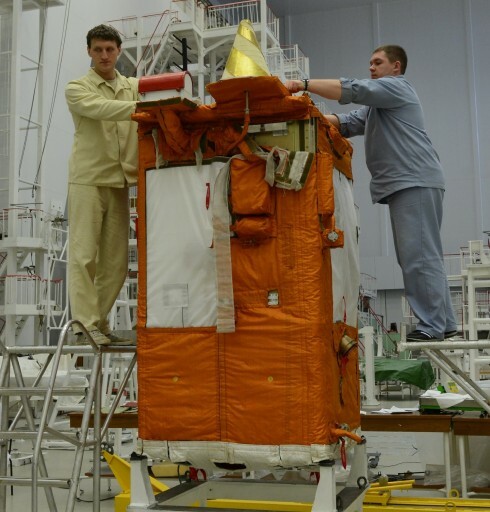 Most spacecraft launch with covers in place over any sensitive optical components that remain closed for several weeks to permit the spacecraft structures to release most outgassing products. The DMS-01 Mass Spectrometer payload will deliver data to identify outgassing products and their concentration as a function of time. It is expected to detect abundant organic materials for the first two to three weeks of the mission. After completing an assessment of spacecraft outgassing, DMS-01 will begin its science mission of measuring compounds present in the outermost layers of Earth’s atmosphere, looking at the abundance of atomic oxygen, the primary driver of corrosion on spacecraft, and probing the response of the atmosphere to solar activity. In nominal mission operations, DMS-01 will collect eight measurements per day, collecting ten mass spectra with one-minute sampling rates in each cycle. Measurements will be made at different positions in the orbit – on the sunny side, under high-incidence angles, at sunrise/set and during orbital night. The DMS-01 mass spectrometer covers a mass range of 1 to 50 Atomic Mass Units and weighs 4.4 Kilograms. It is 25 by 25 by 12 centimeters in size. 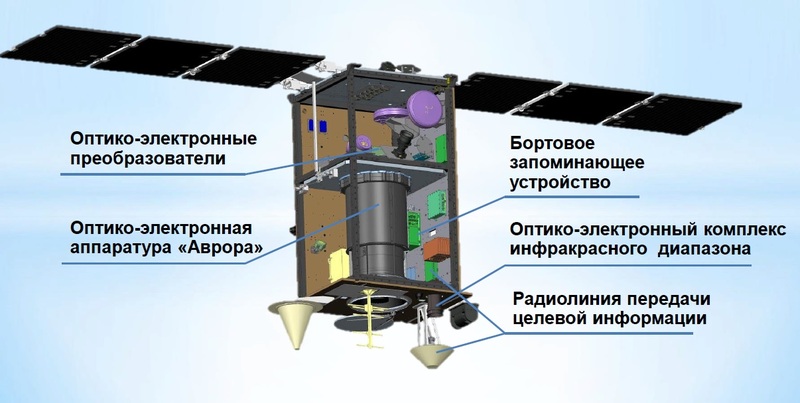 The ДЧ-01 instrument aboard the AIST-2D satellite is a materials science study to look at the effect of space environment factors such as radiation, atomic oxygen, dust/micrometeoroid impacts and solar irradiation on different samples of optical elements, electronic components and surface coatings. Specific studies performed by this payload include a study of space debris impacts on optical elements, radiation-related effects on integrated circuits, memory units and microcontrollers, and the impact of atomic oxygen on surface coatings. 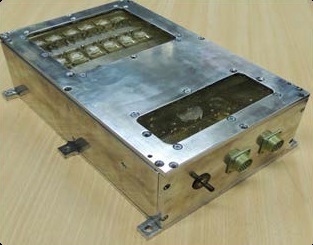 The ДЧ-01 experiment is a monoblock hosting the various sensors and sample materials, facilitated on the spacecraft exterior, facing the space environment. The experiment block is 27 by 19 by 9 centimeters in size and weighs 2.5 Kilograms. Results from the experiment will be used to improve the design of future spacecraft systems to better deal with the space environment, leading to longer operational lives of satellites. METEOR-M is an experiment suite comprised of several sensor panels to measure high-speed particle impacts of natural and artificial origin. The experiment aims to determine the mass, velocity and direction of incoming particles and assess their effect on the surface of the satellite, also looking at surface charging of satellite structures which is a known problem for missions in Earth orbit. 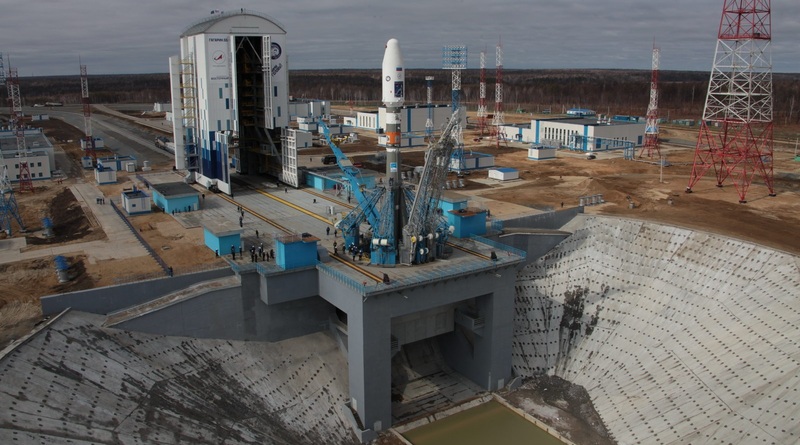 Контакт-МКА is a technical demonstration payload to test space-to-space communications from Low Earth Orbit Spacecraft to the Globalstar communications satellite constellation for communications relay from any point of the satellite’s orbit. Globalstar operates a constellation of satellites in 1,400-Kilometer orbits supporting low-rate communications between users on the ground using S-/C-/L-Band systems. Employing the satellites for use in data relay from lower-orbiting spacecraft to the ground has been demonstrated in various missions and further work is underway to design operational LEO-to-LEO-to-Ground communications systems. 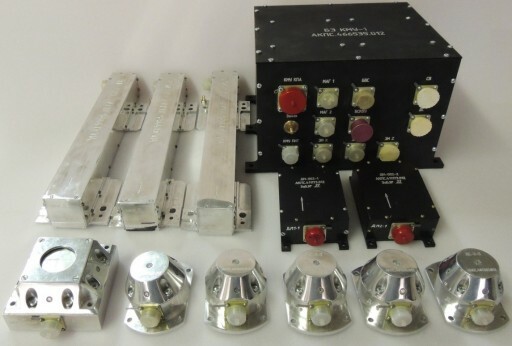 КМУ-1 is an experimental Microacceleration Control System tasked with measuring microaccelerations acting on the satellite (caused by drag and solar pressure) and compensating for microaccelerations in spacecraft attitude control. The system consists of a Central Electronics Units, a pair of three-axis magnetometers, one sun sensor, Earth sensors and three Magnetic Torque Rods to provide attitude actuation. In nominal operations, the system will be tasked with compensating low-frequency microaccelerations in the orientation of the satellite and keep the spacecraft pointed very precisely along the Earth’s magnetic field vector. The КЭА payload, provided by SamGU, is a complex technology demonstration comprised of high-efficiency photovoltaic solar cells and advanced lithium-ion batteries as well as fiber optic and electromagnetic transducers. Copyright © 2019 Soyuz | Lomonosov & AIST-2D | Spaceflight101. All rights reserved.